New Star is an Employment First organization, meaning that we are committed to finding jobs within the community for those consumers who express an interest. However, we recognize that community employment may not be the best option for everyone. 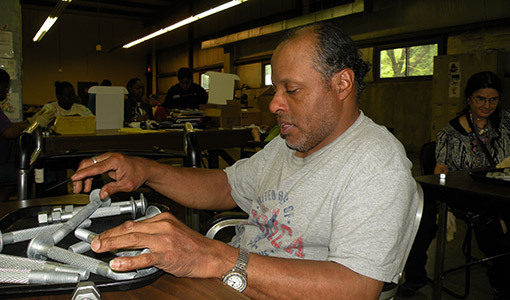 That’s why we also offer a wide variety of vocational training opportunities within our sheltered workshop. 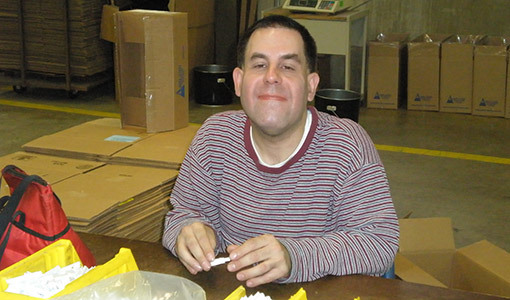 For more than 40 years, our consumers working within our sheltered workshop have been expanding the production capacity of businesses, government agencies, educational institutions, and not-for-profit organizations throughout the Chicagoland area and Northwest Indiana. These partnerships enable consumers to earn money while gaining valuable vocational experience. Our workshop offers a structured environment where workers are organized into production lines based upon each individual’s physical and intellectual strengths. There, consumers have the opportunity to learn critical “hard skills” such as sorting, packaging, heat sealing, power washing, and electronics recycling, as well as essential “soft skills” like effective communication, time management, taking personal responsibility, and working collaboratively. For more information about onsite vocational training opportunities, contact Graig Gillis at ggillis@newstarservices.org.